Regular readers of this blog will no doubt know that I'm a HUGE Mike Patton fanboy. For those who have never heard of him, he's only the greatest vocalist working today. Well, today is his 49th birthday. Happy birthday, Mr. Patton! Hopefully there are many, many more to come. I've included a caricature that I drew for his birthday. (Click the cartoon to get a color version.) I've also embedded a music video from one of his newest projects, Nevermen. 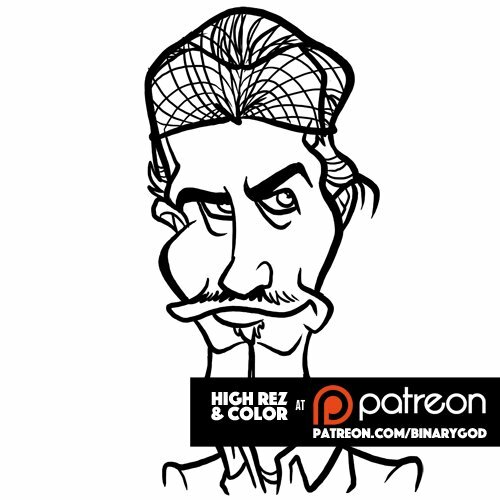 Check out the drawing (feedback please), listen to the song, buy some records from his label, and check out my other Mike Patton fanboy stuff on my website. Enjoy your weekend!